Having been a rather young if not avid ELO fan and collector, I only discovered Bob Dylan in my late teens a few years before his involvement with the band of brothers who were The Traveling Wilburys. That's why his 1985 album "Empire Burlesque" was the first Bob Dylan record that I bought. Hence, when a series of 2017 UK dates were announced featuring the man whom many regard as one of the finest songwriters in the modern era, this was an opportunity to see (and hear) for myself one of the greats. It will therefore come as no surprise to regular visitors here at elobeatlesforever (elobf) that Yours Truly KJS was in attendance at The Motorpoint Arena in Nottingham "Last Night" (Friday 5th May) when Bob and his quintet rolled into town. This was the most surreal of gigs. Nearly all of the 10,000 seats were occupied and every one of the twenty one songs played were greeted the reactions ranging from warm applause to ovations when the more familiar Dylan classics were performed. Yet at no time did Lucky Wilbury speak or interact with his audience in a polished and classy two hour set of originals and covers. 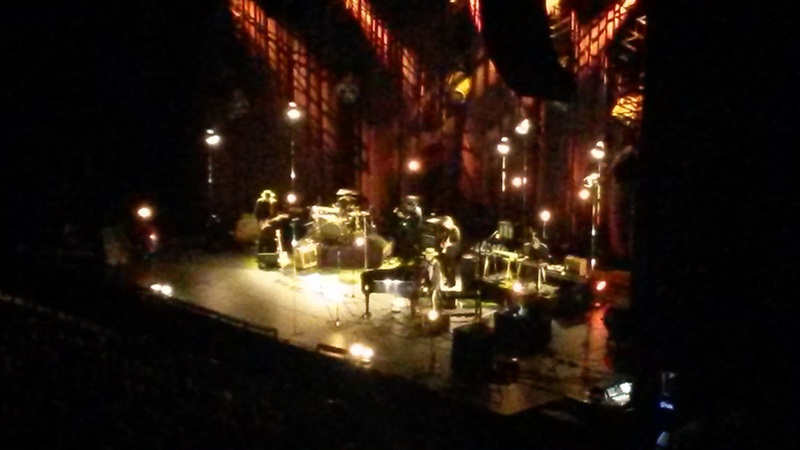 It was surely an experience hard to define and one that I most surely enjoyed, be it Bob crooning with microphone in hands or behind his piano, whether sitting or standing. Highlights for me included "Highway 61 Revisited", "Tangled Up In Blue", "Desolation Row" and (naturally) "Blowin' In The Wind". Especially noteworthy was the inclusion of "Stormy Weather" in the set - a song also covered, of course, by his Wilbury pal Jeff Lynne in 1990's "Armchair Theatre". Many who were there had doubtless seen Dylan many times down the years and the concert had the feel of a reunion, For first timers like me, this was an encounter with the enigma who is Bob Dylan. 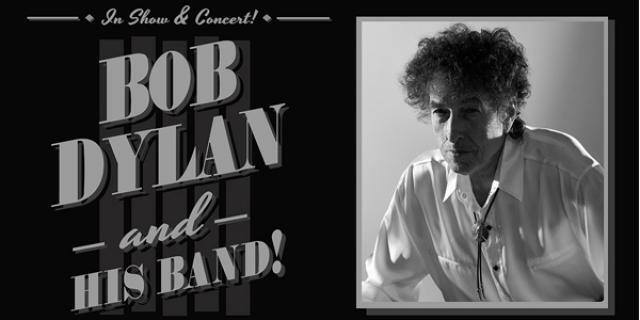 Bob Dylan and his Band performed: "Things Have Changed" ~ "To Ramona" ~ "Highway 61 Revisited" ~ "Beyond Here Lies Nothin'" ~ "Why Try To Change Me Now?" ~ "Pay In Blood" ~ "Melancholy Mood" ~ "Duquesne Whistle" ~ "Stormy Weather" ~ "Tangled Up In Blue" ~ "Early Roman Kings" ~ "Spirit On The Water" ~ "Love Sick" ~ "All Or Nothing At All" ~ "Desolation Row" ~ "Soon After Midnight" ~ "That Old Black Magic" ~ "Long And Wasted Years" ~ "Autumn Leaves" ~ "Blowin' In The Wind" ~ "Ballad Of A Thin Man"
elobeatlesforever (elobf) recommends Bob Dylan to those enlightened folks who enjoy the music of ELO, Jeff Lynne, The Traveling Wilburys, Roy Wood, The Move, The Idle Race, 'Brum Beat', The Beatles and related artistes. Excellent that you got to see a songwriting Legend! Yesterday, 5th May, was 53 years since I met Dylan at Birmingham Town Hall and held his leather jacket while he did an encore. Still remember it!